Justin is a managing partner of the firm. He concentrates his practice in the areas of business and commercial law and litigation, creditors’ rights and bankruptcy. As a business lawyer, Justin provides counsel and representation to business clients in financial, transactional and general business matters. Justin handles a broad range of commercial and business litigation in State and Federal Court and in arbitration proceedings, including matters involving creditors’ rights, contracts, employment issues, franchise and licensing, and limited liability companies, partnerships and closely held corporations, including dissolution proceedings, derivative actions, and partner and shareholder disputes. In the area of creditors’ rights, Justin regularly serves as counsel for lending institutions on commercial loan workouts and restructurings, liquidations, foreclosures, litigation, seizures and receiverships. He has also served as court appointed receiver, including appointment as receiver in a tech support scam case brought by the Federal Trade Commission. Justin regularly represents secured and unsecured creditors in all facets of Chapter 11 bankruptcy cases, including preference and other litigation, contested valuations, cash collateral proceedings and plan confirmation. Justin also represents borrowers in workouts and litigation, and regularly serves as debtor’s counsel in Chapter 11 bankruptcy proceedings. Justin’s Chapter 11 clients have included manufacturers, wholesalers and suppliers, restaurants, hotels, real estate developers, insurance agencies, and retailers. Justin also has significant experience as creditors’ committee counsel and Chapter 11 trustee. 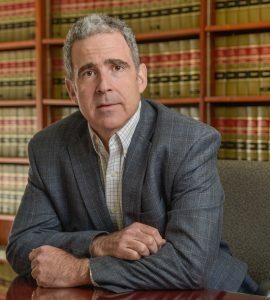 Justin is a member of the American Arbitration Association Roster of Neutrals, and is a past President of the Capital Region Bankruptcy Bar Association. Justin has been named as a top bankruptcy and creditor/debtor rights attorney in New York Super Lawyers Upstate Edition for 2008 through 2017.